Norfolk County Council’s road safety team and crews from Norfolk Fire & Rescue Service are once again taking to the road during the school holidays to host more than a dozen free child car seat checks across the county. More Norfolk children are killed or seriously injured whilst in a car than they are as a pedestrian or cyclist. One in three child car seats are incorrectly fitted in Norfolk but almost all of these can be fixed immediately. Child car seats are a legal requirement in the UK and make children far less likely to be seriously hurt in a collision. But they must be correctly fitted and adjusted to offer maximum protection, and it is easy to get it wrong. The events are running until August 16, 10am until 2pm at the locations listed below. Families are invited to come along to get their child seats checked and to ask our team of experts about any aspect of road safety. The county council’s road safety experts are also using the 18 free child seat safety checks to encourage parents to keep children rear facing in the car for much longer than families traditionally do in this country. Scandinavian countries routinely keep their children in a rear facing seat until they are four or five years old. Research proves this is five times safer than the UK approach of putting a child in a forward facing seat at around nine months old. Alistair Steele, consultant anaesthetist at Queen Elizabeth Hospital, King’s Lynn said: “During my time as an air ambulance doctor and as a trauma doctor I have seen too many children severely injured from car accidents. In addition to the messages about driving safely we really want to help parents and carers get the right advice about child safety in cars, and there is a confusing array of restraints and booster systems available. This entry was posted in Aylsham, Cromer, Drayton & Taverham, Eaton & Cringleford, Hellesdon, Holt, Home Page, North Walsham, Sheringham, Sprowston, Wroxham and Coltishall and tagged accidents, car seats, child safety, children, Norfolk County Council, road safety on July 12, 2017 by Gay Webster. A charity that seeks to improve the lives of disadvantaged children in North Norfolk has received a welcome boost – thanks to the baking and yoga exploits of NHS staff. Employees at North Norfolk Clinical Commissioning Group (CCG) took part in two fundraising activities: monthly bake-off events and staff yoga sessions. 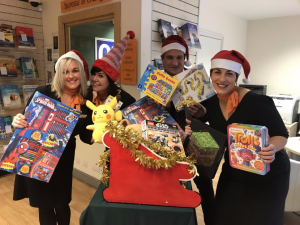 Over the course of four months, they collected more than £170 through staff donations – and this week they presented the money to the North Norfolk Radio Kids Trust. Staff at the CCG chose the trust as their nominated charity for 2017 after hearing about its valuable work with schools, youth groups and local families. Every penny it receives or raises is spent in North Norfolk, with the aim of helping under privileged or disabled children. North Norfolk Radio’s breakfast show presenter Rob Chandler visited the CCG’s offices in Aylsham to receive a cheque for £159.14. The North Norfolk Radio’s breakfast presenter said: “The North Norfolk Radio Kids Trust always take great pride in letting successful grant applicants know that it’s through the generosity and support of local people and organisations that we’ve been able to help them. As well as their successful monthly bake-off events, employee Fiona Craig has been hosting staff yoga sessions after work to raise funds for the kids trust. CCG engagement manager Rebecca Champion – whose cake-making skills saw her crowned the ultimate Baking Queen in the bake-offs – said: “We were all aware of the fantastic work carried out locally by the North Norfolk Radio Kids’ Trust so we’ve been very happy to support it. This entry was posted in Aylsham, Home Page and tagged children, Norfolk and Norwich, North Norfolk radio, Norwich and Norwich University Hospital on July 10, 2017 by Gay Webster. The summer holidays are on their way – what are you going to do with your time? Challenge 23 kicks off on Monday, August 7, and runs every day until Friday, August 10, It costs £90 per head. The week combines a safe and welcoming environment, the chance to make friends, excellent coaching and lots of opportunities for adventure. Days run from 9am-3pm, except for Friday which is 8am-5pm. Friday will include a trip to the Horstead Centre and include canoeing, crate stack, tower experience and team challenges. This will be followed by an end of week presentation back at the sports centre and a party for everyone to enjoy. Maggie Prior, cabinet member for leisure, health and wellbeing, said: “Challenge Week is a fabulous, excellent value opportunity to take exercise all week, trying out different sports, games and activities, while having a thoroughly enjoyable and fulfilling experience. There is a Challenge 23 open day in advance of the full event where you can come and meet the team, learn all about Challenge, ask questions, sign up and try out activities for free. This will be held on July 16 10am-2pm, at Stalham Sports Centre. 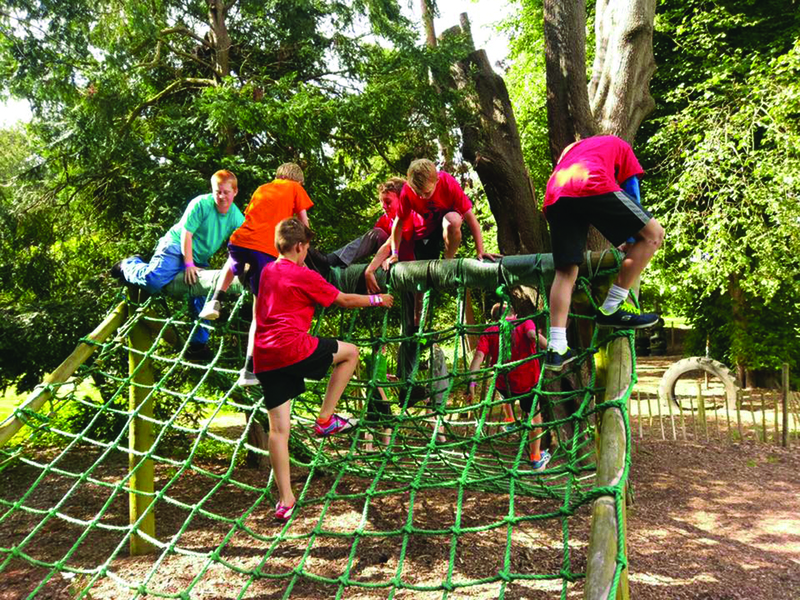 This entry was posted in Cromer, Holt, Home Page, North Walsham, Sheringham, Wroxham and Coltishall and tagged challenge 23, children, norfolk, North Norfolk District Council, sport, summer holidays on June 28, 2017 by Gay Webster. Charity Nelson’s Journey has received a £10,000 donation from Roys of Wroxham to help its work with bereaved children. Nelson’s Journey was chosen as Roys charity of the year to receive all donations raised through sale of 5p carrier bags at Roys’ eight stores and Highway Garden and Leisure. The £10,000 can fund 40 children to attend one of the therapeutic residential weekends at Hilltop in Sheringham. The weekend is packed full of team building, coping strategies and memory work with other children and young people of a similar age, giving them the right tools and confidence to move forward positively with their lives. This entry was posted in Home Page, Sheringham, Wroxham and Coltishall and tagged bereavement, Charity, children, Nelson's Journey, Roys, Roys of Wroxham, Wroxham on February 23, 2017 by Gay Webster. 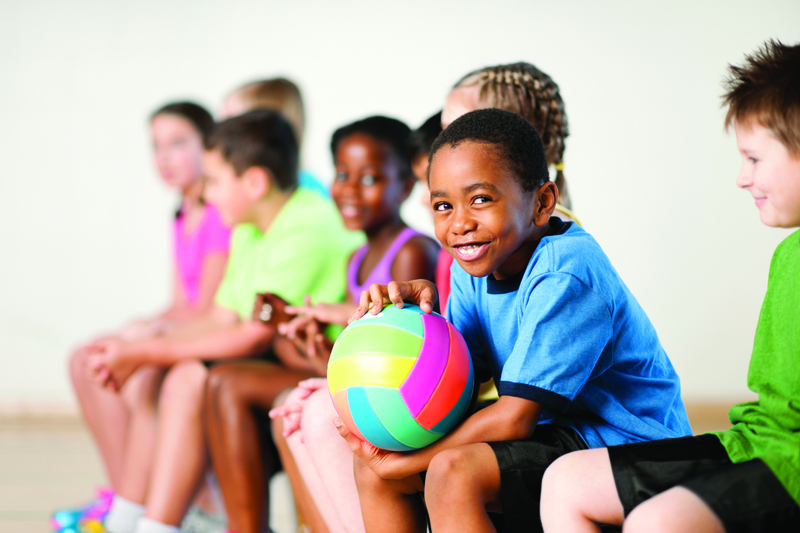 The regular school holiday programme of sporting activities for children run by North Norfolk District Council has been given a fresh look for February half term. A new focus on full days of activities running from 9.30am-3pm has been adopted after feedback from parents, instead of a mix of mainly shorter sessions and an occasional full day. The same feedback has also led to the sports teams offering early drop off and late pick up, meaning the day can be extended to 8am to 4.30pm. The full days are priced at £10, plus £2 for each of the extended 90 minutes at either end of the day. Full days will be held at Cromer, North Walsham and Stalham community sports centres, with one half day at Stalham. Activities include ball games, football fun day, multisports and street dance. The days will serve different age groups ranging from four to 12 years old. 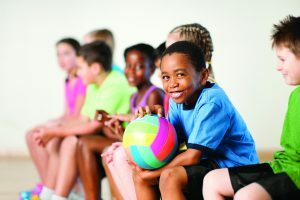 Maggie Prior, cabinet member for leisure, health and wellbeing, said: “We have listened to the views of both parents and young people, and used that information to change what we offer in our sports centres during half term and holidays. 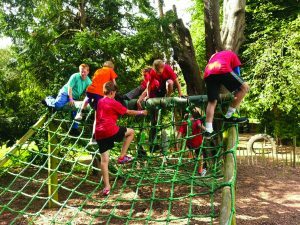 “There was a clear desire for longer sessions to help busy families and we’re delighted to be able to tie that in with offering healthy, active fun at a very reasonable cost. This entry was posted in Cromer, Home Page, North Walsham and tagged children, family, halfterm, North Norfolk District Council, sports on January 26, 2017 by Gay Webster. A fun children’s drama delves into the reason words disappear off the tip of your tongue. And for the trio staging The Sentence Snatchers, their visit to the Sheringham Little Theatre is a “homecoming ” to the county where they met. 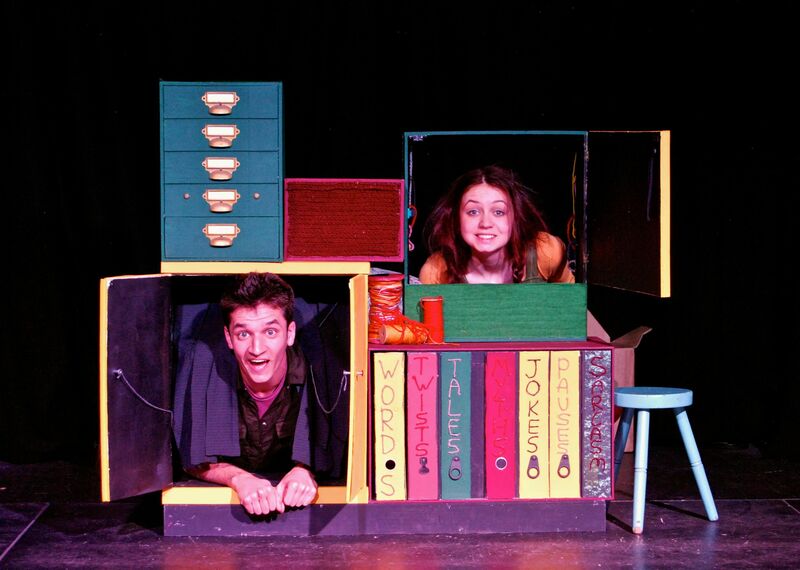 Director Gwen Hanauer and cast members Jonathan Cobb and Sophie McKenzie formed Flat Pack Productions in 2013 while studying English and drama at the UEA. The play follows a determined young girl called Frank who has a terrible fear of speaking. But when a mysterious figure offers her a deal to take those nerves away, everything changes. Trapped in a “contract” where even the clauses have claws and the Syn-Tax is far too expensive, she must go on a big adventure, across lexical fields and letter seas, to defeat her fear and take back her voice from the sneaky Sentence Snatchers. The imagination exploding family fun performance for six to 12 year olds but which can also be enjoyed by adults, is jam packed with puppets, music and magical storytelling. 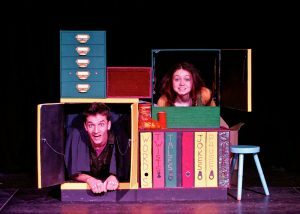 The show was nominated for the International Youth Arts Festival’s Best Family Show award in Brighton, where it premiered last year, and is in now on tour in Norfolk and Suffolk, supported by Creative Arts East. Action from the Sentence Snatchers. This entry was posted in Home Page, Sheringham and tagged children, norfolk, north norolk, Sheringham Little Theatre, theatre, UEA on January 23, 2017 by Gay Webster. The search is on for some Lost Boys to join a the pantomime cast at Sheringham Little Theatre for Peter Pan. At least a dozen Lost Boys are needed, as well as four youngsters to take the speaking parts of John and Michael, Wendy’s brothers who join the magical journey. Theatre director Debbie Thompson said the panto provided opportunities for youngsters to join the professional cast and gain experience. “We normally get lots to auditions but can only take a few. However, this year there are many more opportunities, which we are thrilled about because we like to get the community involved,” she added. One youngster who has reaped the benefits of getting involved in youth drama productions is 12-year-old Joe Oxtoby from Bacton. “Being involved in the theatre has really boosted my confidence, given me life skills and I have made a lot of friends,” said Joe. He has also gone on to win coveted summer school places with the National Youth Music Theatre and the National Youth Choir. Joe’s ambition is to be a commercial airline pilot – with the stage as a hobby in the wings. 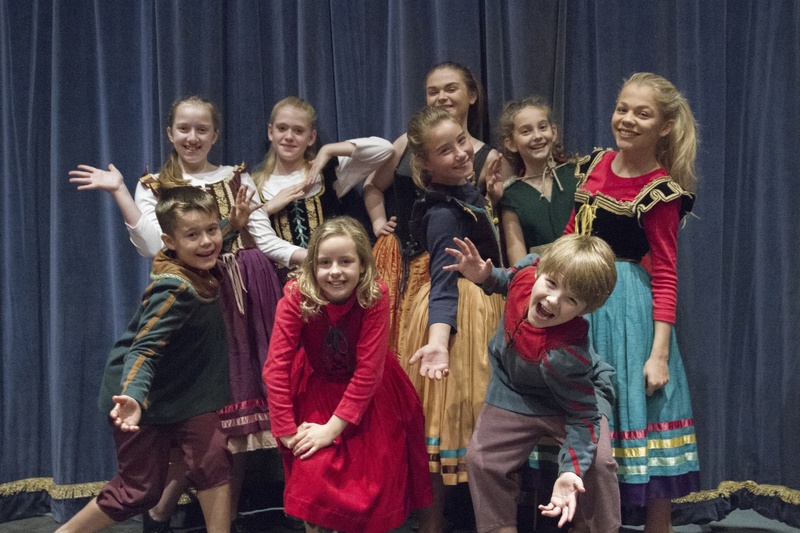 Youngsters keen to be among Pan’s panto Lost Boys should be aged eight to 16 and should enjoy acting and singing, though no experience is necessary. The part of John is aged about 12 and Michael six to eight. Girls have not been left out. There is also a need to find a Tiger Lily, aged about 16, who is a strong singer as well as a good actress. Peter Pan runs from December 7 to January 1, and sees the “boy who never grows up” helping Wendy and her brothers fly to London, via Norfolk – encountering pirate Captain Hook and two troublesome crocs Tick and Tock along the way. Cast members need to be available from October. Auditions are on September 18 at 10am at the theatre. Hopefuls need to come dressed to move and with a song prepared. They will be taught a short dance routine and given a piece to read. There is no need to register in advance. 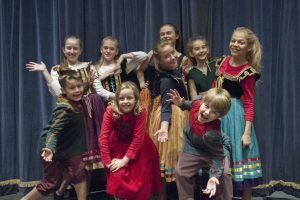 This entry was posted in Cromer, Holt, Home Page, Sheringham and tagged acting, children, norfolk, Peter Pan, Sheringham Little Theatre on September 12, 2016 by Gay Webster.